The standard of Designs of the Year exhibition at the Design Museum is high this time and well worth visiting in my opinion. 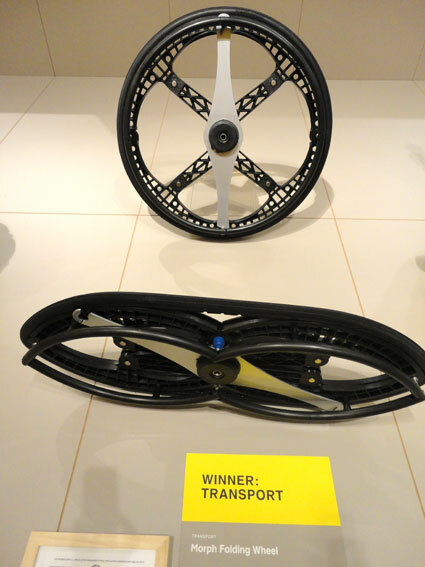 Pictured is one of many social designs and the winner of the transportation category MORPH FOLDING WHEEL for wheelchairs designed by Vitamins for Maddak Inc. The challenge is the huge range of so many categories. How to compare so different categories to each other? Nevertheless it is a good opportunity to see all designs in one place to get an overview. The winner of the product category is another ethical choice. The KIT YAMOYO anti-diarrhoea kit designed by ColaLife and PI Global. Will we see more these in the future? 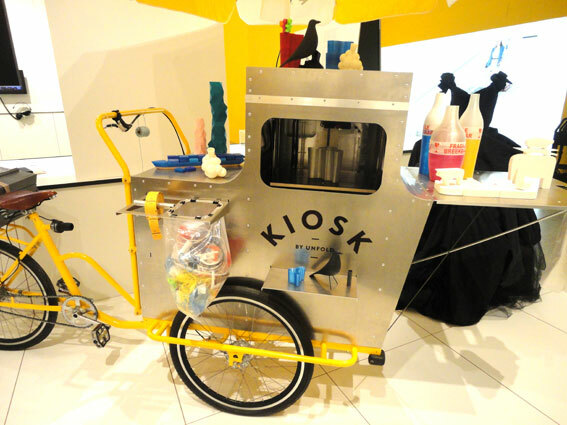 Kiosk 2.0 by Unfold Studio is a 3D Printing mobile kiosk for the Post-Digital Age consumer.